Arlington, Virginia is an urban county with 62% of its housing stock being multi-family apartments, condominiums, or home owner associations — but that doesn’t mean those residents can’t take advantage of the free tree distribution on October 15 and 19th. This year, multi-family housing groups can pick out native trees to take “home” and plant. All you need to do is get permission from the appropriate authority (Greens committee, apartment house manager, board, etc.) and contact info@TreeStewards.org. A TreeSteward volunteer will assist in selecting the best species for your location and tell you how to reserve your choice on-line. River birches at Westwind HOA were planted three years ago as tiny whips. Think these small whips won’t make a difference? 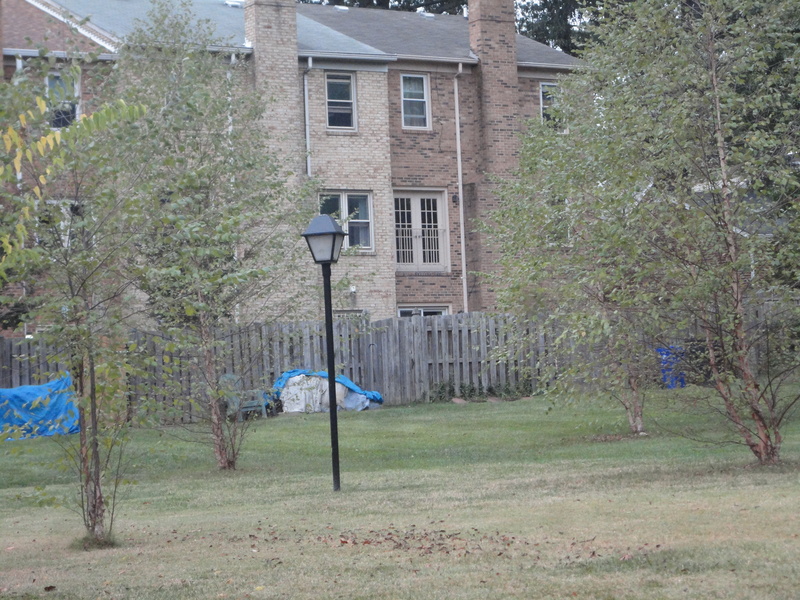 Westwind HOA in North Arlington had a large common area in full sun that regularly turned into a wet, unappealing spot. In 2010 their grounds committee chose several River birches and held a get-to-know-your-neighbors planting event, and residents signed up for watering duty to ensure the trees survived. The trees are more than 20 feet high now, as well as helping keep the field dry. The commons area is now a pleasant place. We’d love to help other condo and apartment dwellers plant trees in their sites. Contact us at info@TreeStewards.org Hurry, trees are going fast and may be gone by pick up day.